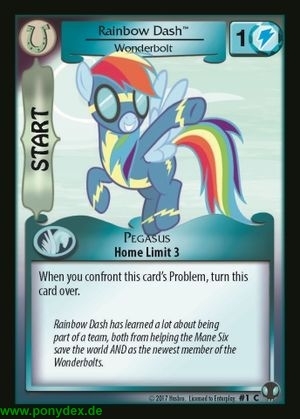 Rainbow Dash has learned a lot about being part of a team, both from helping the Mane Six save the world AND as the newest member of the Wonderbolts. 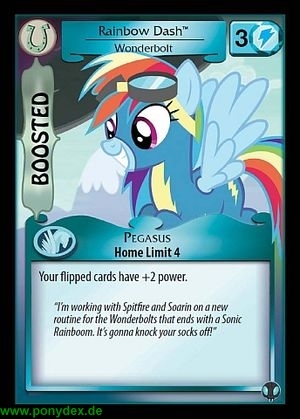 "I'm working with Spitfire and Soarin on a new routine for the Wonderbolts that ends with a Sonic Rainboom. It's gonna knock your socks off!"